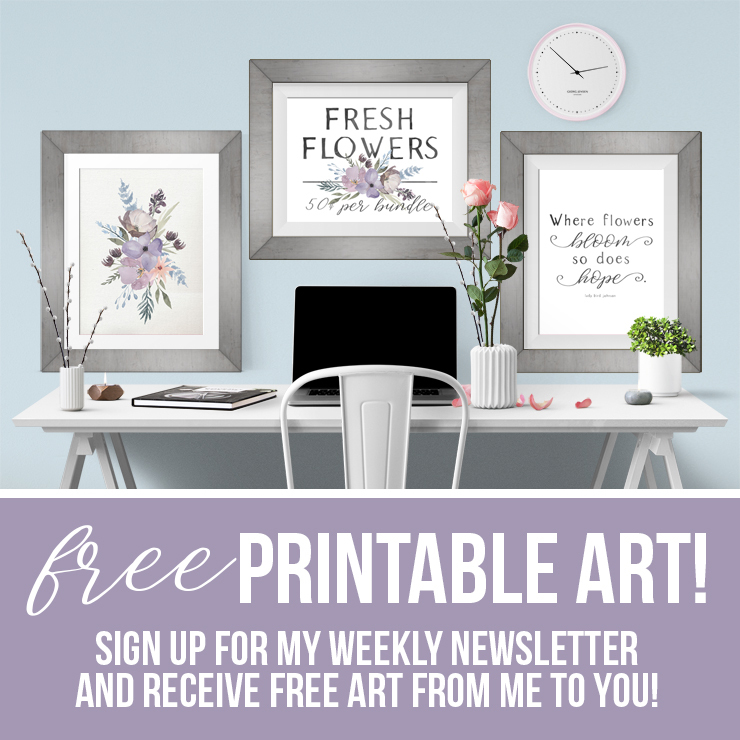 I’m following along this great declutting challenge from Home Storage Solutions 101 the best I can. It’s great! 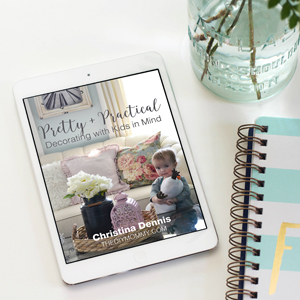 I love how the decluttering sessions are limited to around 15 minutes per day – now THAT I can do! 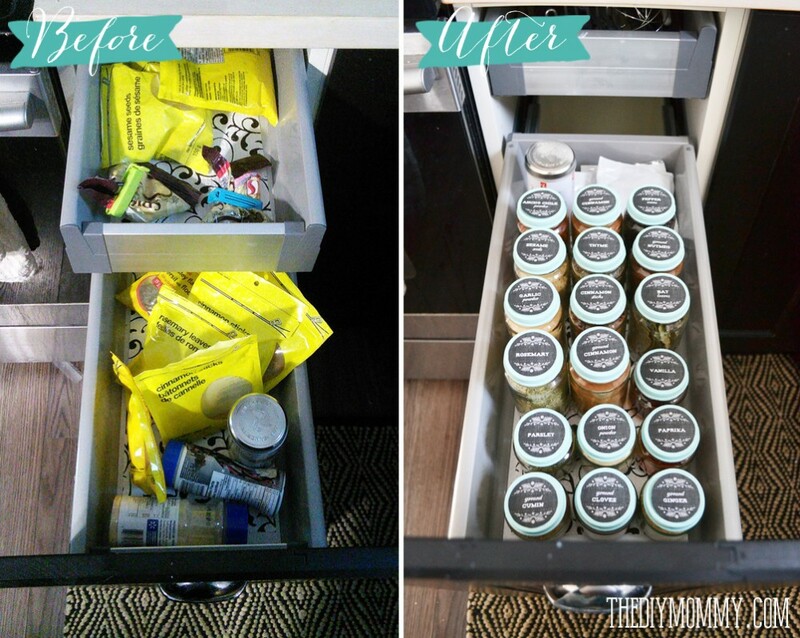 This week, we’re focusing on organizing our kitchen cabinets. Mine are pretty decent since we’ve only been in our new house for 18 months or so, but there are some cabinets that are already pretty out of control. One of them was my spice cupboard, and I wanted to share with you today a fun & free spice storage solution that I came up with. And I turned them into something cute, yet practical. 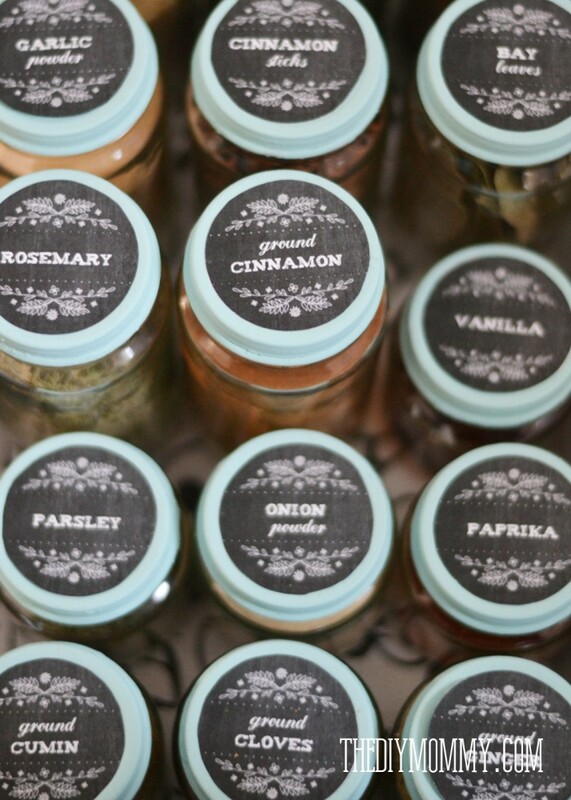 I was going to design my own spice labels, but when I found these farmhouse & chalkboard ones by the brilliant Lia Griffith, I knew I didn’t have to because I had found exactly what I wanted! They’re the right size and you can even customize what they say! I printed mine on plain sticker paper and cut them out. Cute, right? 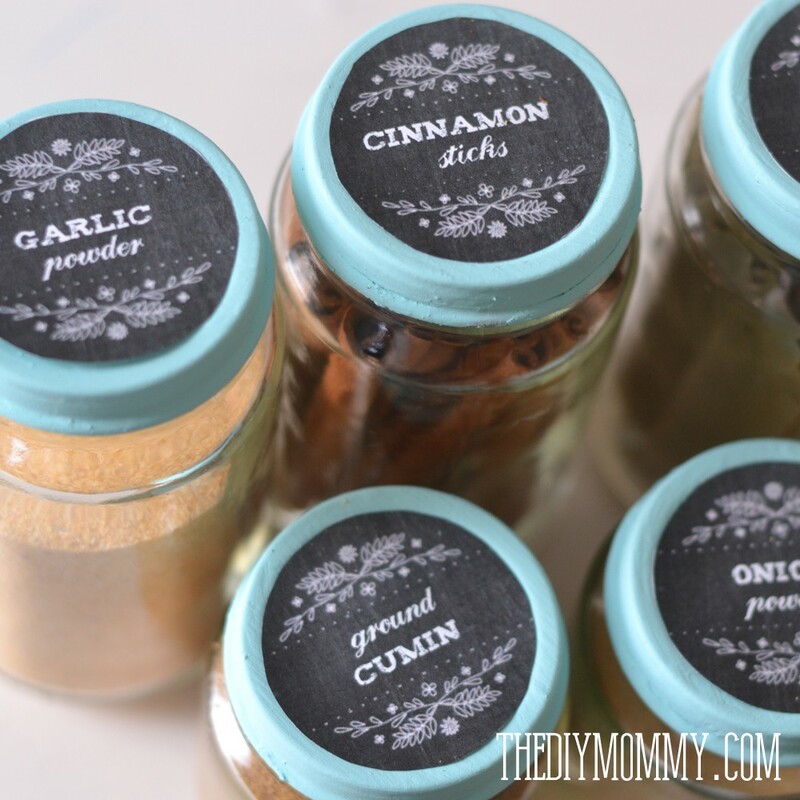 I used both tall baby food jars and the standard shorter ones for different spices. So much better, right? 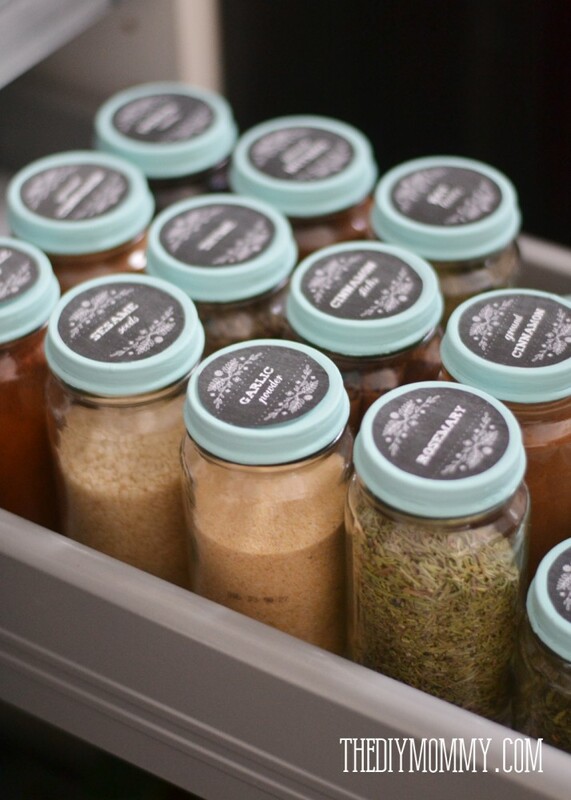 My spice organization even matches my kitchen colour scheme, which makes my heart sing. Christina, I LOVE these! I work in the baby room at a day care, and we go through so many baby food jars it’s insane. 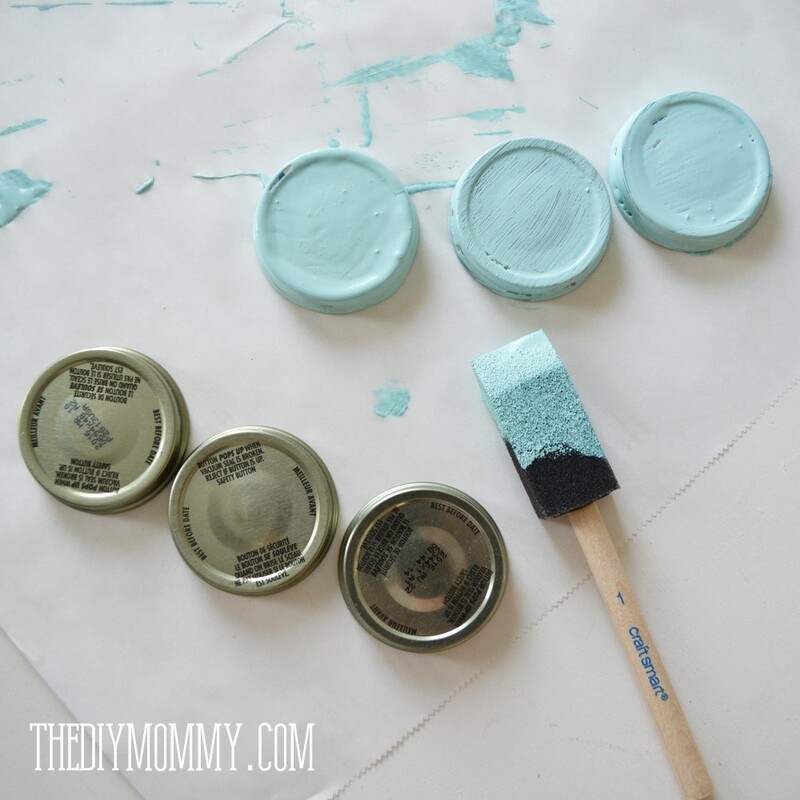 This is such a cute way to recycle them, I may have to try it out! Thanks so much, Melanie! Yes, I have a TON of these too! What a great idea! I love that you literally don’t have to invest anything extra, but you end up with such a unique set of spice jars. Thanks for sharing! 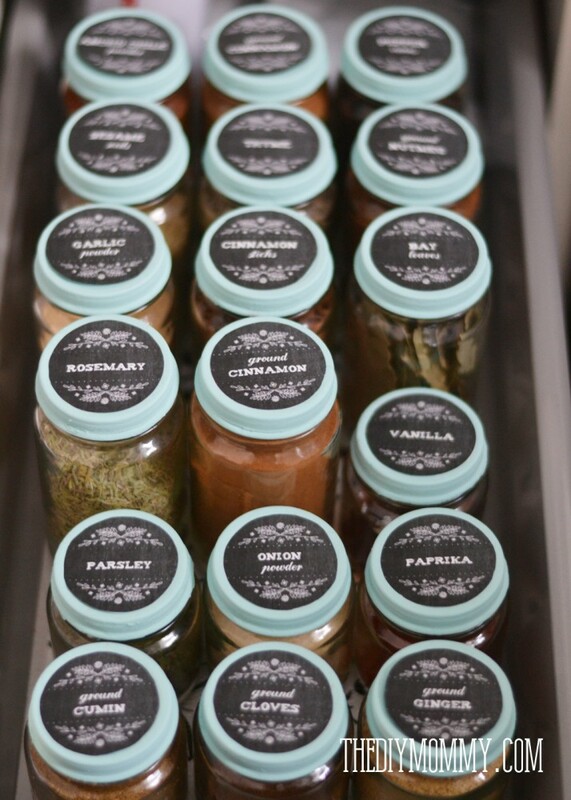 I LOVE upcycling glass jars for other food storage… I may have a slight glass jar hoarding problem… 🙂 I really love what you did with the lids! I have the same problem! Haha! Thanks, Judith! Lovely idea to store food in jars. It looks so creative and still keeps the food fresh and well closed. Great! !